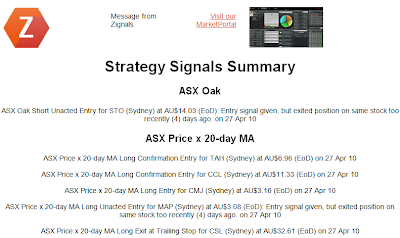 With the launch of the new Zignals members home pages now is a great time to brush up on your stock picking or strategy building skills and start promoting yourself to your followers and friends. If you haven't already it's best to start by offering a trading idea or building a strategy. The former is perhaps the easiest to do. 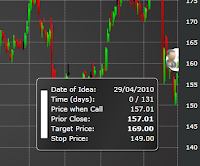 Open Stock Charts and select a stock you have a trading idea for. 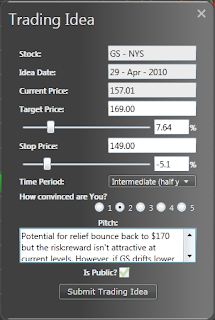 You will see two areas where you can enter a Trading Idea; the first link is in the top-menu; the second is in the left-hand-slide menu, last drop-down option. Click on one of these links and select a New Trading Idea. Creating a new trading idea brings up a dialog which shows the stock, current date and price and input boxes to define the Target Price, Stop Price, Time Frame required to reach the Target Price, a level of Conviction and a text based Pitch. By default a Trading Idea is public since for friends to see it, it has to be shared! Once your are happy with your call you can submit the trading idea. Submitting will bring up a confirmation box showing the details of the target and stop, plus the timeframe in which the target should be reached. After that a notification will be given the Trading Idea has been created and the chart will display an icon showing the summary details. Rolling over this icon will give the target, stop, timeframe and progress bar to either stop or target price. When you have some followers they will get an email describing your call and will get an alert when either the target or stop price is hit. Emails are only sent out to current followers, any new followers you attract will start getting emails from the day they joined . 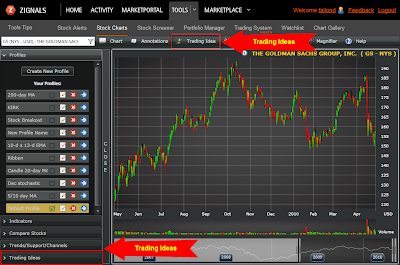 All of your followers will be able to see your past trading ideas from your Home Page. Next we will want to promote this and other Trading Ideas to attract followers and potentially earn revenue from awards for the most profitable Trading Ideas (once out of Beta). The easiest way to do this is through Twitter. 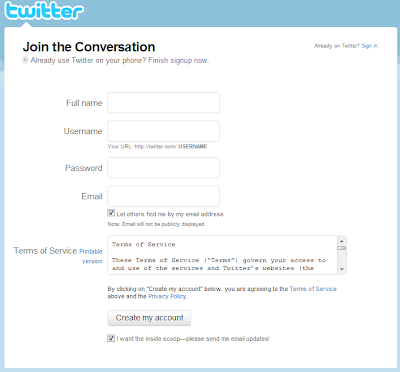 Creating a Twitter account is easy and only requires your name, your user name, a password and email address. 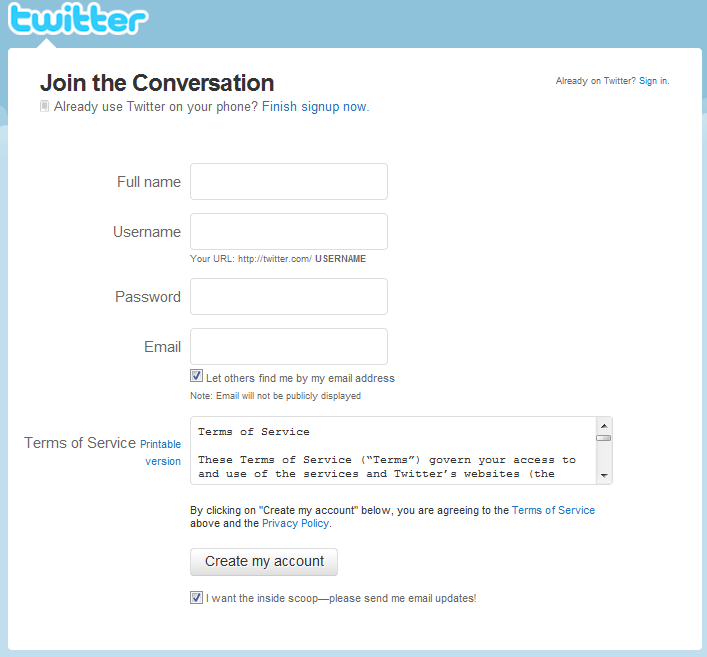 Once your account is created you can add it to the 'Twitter' tab of your home page. The next step is to share your trading idea to the financial community. Each Twitter post is 140 characters in length. 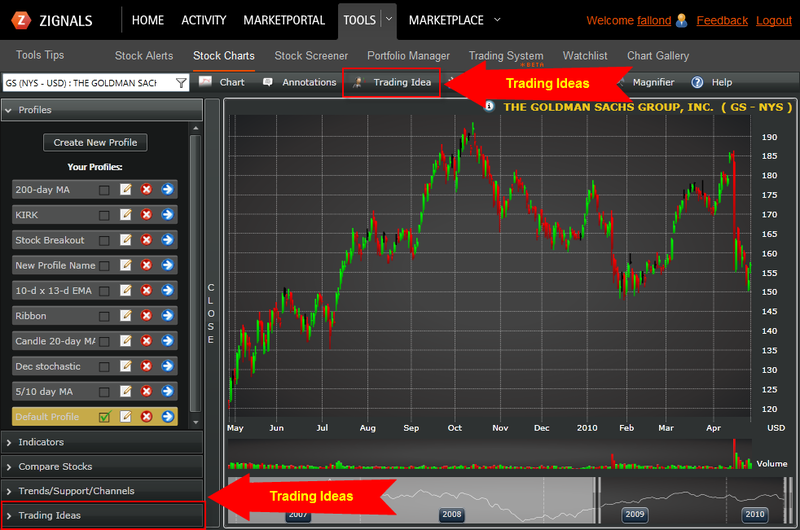 As our goal is to attract users to sign up for our Trading Ideas we want to offer a few 'sample trades' for Free. So our tweet should give basic information such as Symbol name, Target, and Stop price and most importantly, a link back to the Home Page. Any remainining characters can be given to a mini-pitch. 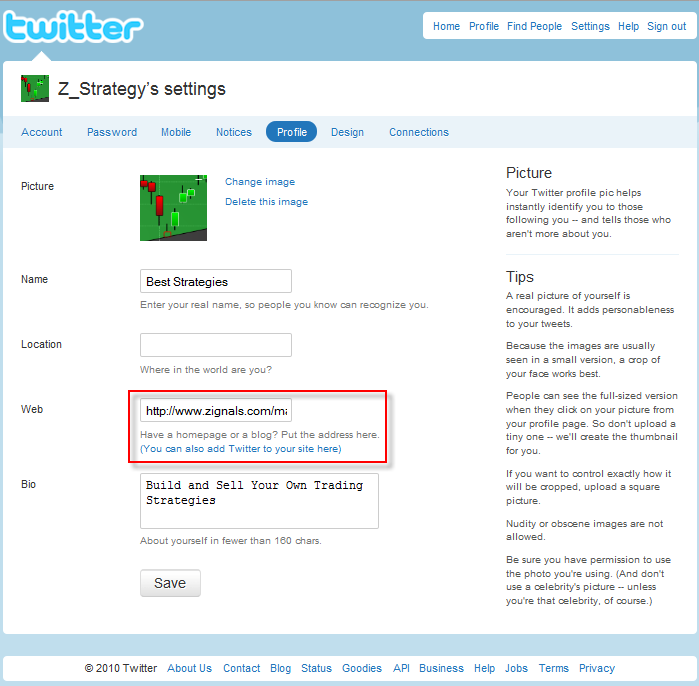 The first thing you will need to do is to shorten your Home Page link since it will be too long to be used in a tweet. How is this done? A link-shortening service will compress your Home Page link into a more character efficient space. Bit.ly is perhaps the best because the number of characters its links uses are the shortest. All you have to do is cut-and-paste your Home Page into bit.ly and let it do the rest. 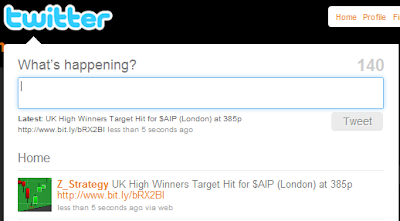 You can then copy and paste this link into your tweet and it will redirect back to your home page. So here is an example of your tweet as it will look in Twitter. You can see I still have 37 characters left to use but this is fine. You will also notice a "$" prefix before the Goldman Sachs (GS) symbol. If you want to share your ideas with the 100,000+ users (and potential followers) of Stocktwits then you can add a "$" sign before the symbol. Stocktwits have a strict TOS on self-promotion which can quickly see you banned (speaking from experience!). The best way to work through Stocktwits is to post sample Trading Ideas with the "$" prefix without the bit.ly link, but post a couple of Trading Ideas without the $ prefix on the stock symbol but with the bit.ly Home Page link. Doing this will promote your site to your Twitter followers - likely gained from Stocktwits - but won't annoy Stocktwits as posts without "$$" or "$" won't appear on their service. When you are happy with your post, Tweet It! 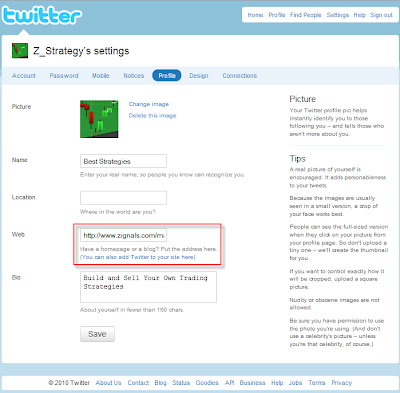 TIP: On Twitter you can add a web address as part of your profile. This is a great place to add your Zignals Home Page. After you have published a few Trading Ideas you will probably be ready to step up to building a trading strategy. Trading Strategies is where the real money is earned as part of a 50:50 revenue share with Zignals (once out of Beta)! After attracting some followers with your Twitter account you will also have a ready made market to sell too. I won't go into the details of how to build a strategy, other than direct to previous posts on the subject, here and here with a downloadable PDF here. [I] All signal entries and confirmed targets, profit targets and stops are in a Strategy Signals Summary email sent after the close. [II] Intraday signals are sent when targets, profit targets and stops are hit. So how can this work on Twitter? With Intraday signals you can quickly send out a tweet by cutting and pasting the first part of the alert into a tweet. When promoting your trading strategies you probably only want to offer a couple sample trades, perferably tracking round-trip trades from entry through to exit. This was you can attract subscribers to your strategies without giving away too much. So the only thing left to do is get started!!! 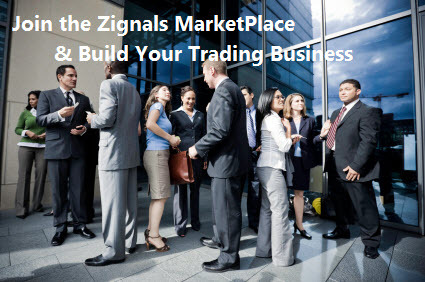 Why not start your Zignals Trading Strategy Business with us today? Zignals offers a full suite of financial services including price and fundamental stock alerts, stock charts for Indian, Australian, Frankfurt, Euronext, UK, Ireland and Canadian stocks, tabbed stock list watchlists, multi-currency portfolio manager, active stock screener with fundamental trading strategy support and trading system builder. Forex, precious metal and energy commodities too. Build your own trading system and sell your trading strategy in our MarketPlace to earn real cash. Read what others are saying about Zignals on Investimonials.com. JOIN US TODAY - IT'S FREE!